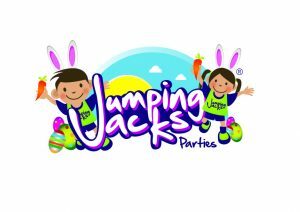 You would be hopping mad not to book TEAM JJ for an Easter party to remember with an egg-stra special appearance from the Easter Bunny to add to the egg-citement. Our cheeky Chick can also join the fun & certainly knows how to party and can strut his stuff on the dance floor, join in with games & our crazy characters love to pose for pics! Hop to it & book today, you will not be disappointed! Animated characters and performers are also available along with all themed party packages. Children are unique so their parties should be! That’s why Jumping Jacks welcome any special requests you have to make your party more personal. Contact one of our party experts who will be more than happy to answer any questions that you have. Throw a ‘Valentots’ disco for little ones or a Prince & Princess ball for your little angels! Love Your Glow UV Disco for older Kids or a Valentines Masquerade Ball! Come dressed to impress for a Valentines disco that will warm the coldest of hearts. Our super-sweet party games will have everybody floating on cloud nine. No one loves to celebrate Christmas as much as Jumping Jacks. Our brrr-illiant Christmas events capture the magic of Christmas and they are just perfectly tailored for the season to be jolly. Our entertainers all come dressed to impress as an elf or snowman for the most magical time of the year. From children’s party entertainment with a winter flurry of themed games to an elegant evening extravaganza or corporate event, we’ve got it covered! Bespoke packages available to suit our clients specific needs and requests. 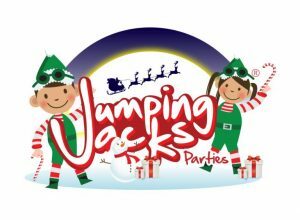 All parties are packed fuller than Santa’s sack with non stop fun from start to finish! JJ’s dream of a White Christmas with the magic of our snow machine to add the WOW factor to your party! Please contact one of our team who will be more than happy to help you plan the perfect Christmas event. Whether it’s a fang-tastic kids Halloween party or a wicked monster Birthday party that is a real scream for both big & little monsters, then look no further! Our Spook-tacular Monster Party is packed to the brim with fright-fully good party dances, games & fun props, making the party shock-ingly entertaining! For little ones we aim to make the party content age-appropriate, simpler and cute as opposed to scary. Whereas for older ones, the games we play are more challenging and dare we say, a bit more hair-raising! 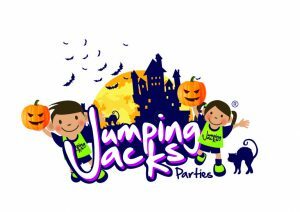 Guest appearances available from our animated characters and the JJ gang can come dressed to impressed as the Ghostbusters or in other spooky attire! You’re in for a freaky, fabulous time! The party includes a mix of traditional and favourite party games, party dances & competitions with a monster twist! Your spooky entertainer will lead the Monster School activities.